I had a comic done for the week, but I didn't think it turned out well. So I enlisted the help of my twitter following to do some sketch comics! It took a turn for the Greek. I am Calgary right now for the Calgary Comic Expo, there will be a lot of people there! Even a William Shatner. 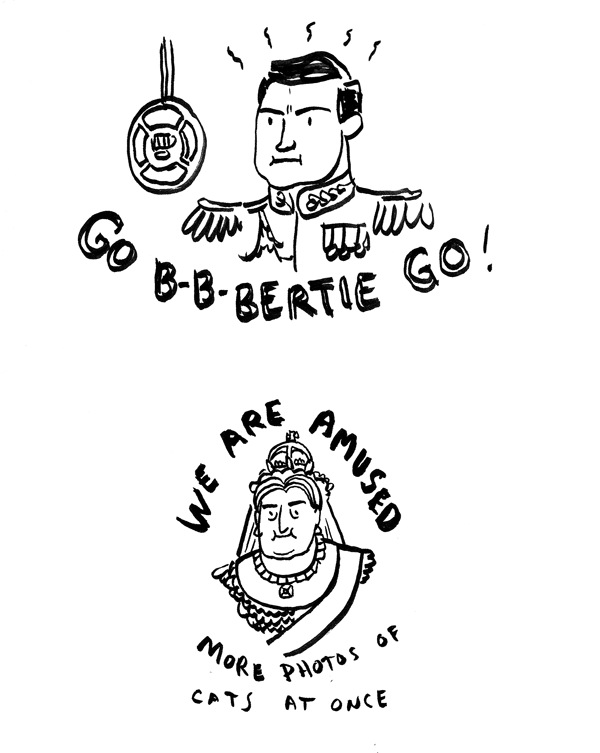 I was drawing King's Speech pictures and then Victoria pictures and may well make a t-shirt from the second drawing.